Osteotomies around the knee are rarely indicated to treat knee instability in the acute setting, unless significant deformities are present at the moment of ligament reconstruction. On the other hand, in the chronic setting, osteotomies are essential in treating knee instability, as an isolated procedure or combined with ligamentous reconstruction. Chronic instabilities treated with ligament reconstruction in a malaligned knee are likely to fail if realignment is not performed in advance or concurrently. Malalignment in both coronal and sagittal planes should be evaluated and addressed in these cases. 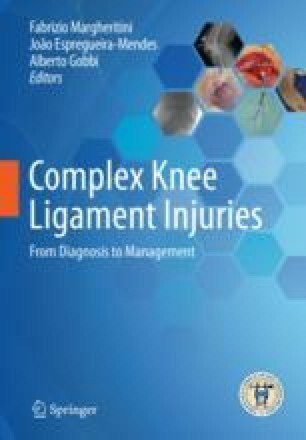 The goal of this chapter is to review the indications and surgical techniques for proximal tibial and distal femoral osteotomy in the setting of chronic ligament deficiency of the knee. Both opening and closing wedge techniques are discussed together with the technical tips and pearls.